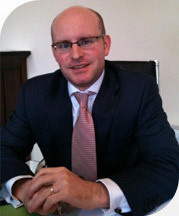 Cosgrave & Co Solicitors was set up in February 2009 by its principal Niall Cosgrave a local of Mullingar, Westmeath, who qualified in 2005. The firm is young and energetic, committed to its clients and has prioritised a client centred approach, professionalism and integrity at a reasonable price as its core values. In response to the current economic climate Cosgrave & Co Solicitors bring the best possible value to the marketplace without compromising on professionalism.